Silverthorne resident Chris Corning of United States competes in the slopestyle finals during the Dew Tour event Saturday, Dec. 16, at Breckenridge Ski Resort. After Corning's second place finish with high score of 95, he qualified for the 2018 Winter Olympics in Pyeongchang, South Korea. Chris Corning hangs his hand on the back following the last run in the slopestyle finals during the Dew Tour event Saturday, Dec. 16, at Breckenridge Ski Resort. 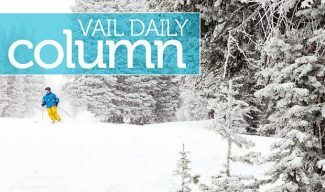 Corning injured his back during the U.S. Grand Prix event at Copper Mountain last week. Spencer O'Brien of Canada, with purple googles, hugs Enni Rukajarvi of Finland following their last run in the slopestyle finals during the Dew Tour event Saturday, Dec. 16, at Breckenridge Ski Resort. Jamie Anderson of United States competes in the slopestyle finals during the Dew Tour event Saturday, Dec. 16, at Breckenridge Ski Resort. Anderson took home second with a high score of 93.33. Max Parrot of Canada competes in the slopestyle finals during the Dew Tour event Saturday, Dec. 16, at Breckenridge Ski Resort. Parrot took home first with a high score of 97. Spencer O'Brien of Canada competes in the slopestyle finals during the Dew Tour event Saturday, Dec. 16, at Breckenridge Ski Resort. O'Brien took home first with a high score of 95. Laurie Blouin of Canada takes a fall in the slopestyle finals during the Dew Tour event Saturday, Dec. 16, at Breckenridge Ski Resort. Julia Marino of United States takes a fall in the slopestyle finals during the Dew Tour event Saturday, Dec. 16, at Breckenridge Ski Resort. Mons Roisland of Norway competes in the slopestyle finals during the Dew Tour event Saturday, Dec. 16, at Breckenridge Ski Resort. Silverthorne resident Chris Corning of the United States during the Dew Tour's Slopestyle finals Saturday at Breckenridge Ski Resort. 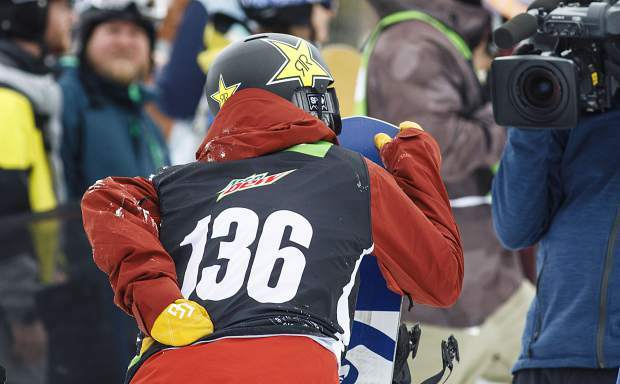 Standing amid the crowd beneath the Dew Tour Men’s Snowboard Slopestyle podium, U.S. snowboarder Dylan Thomas let out a cheer like any other fan. It was for his close friend and daily riding buddy Chris Corning. Battling a lingering lower back and hip injury, Corning gingerly ambled up to the podium to accept his second place award for his 95.00 run at the Dew Tour final on Saturday. 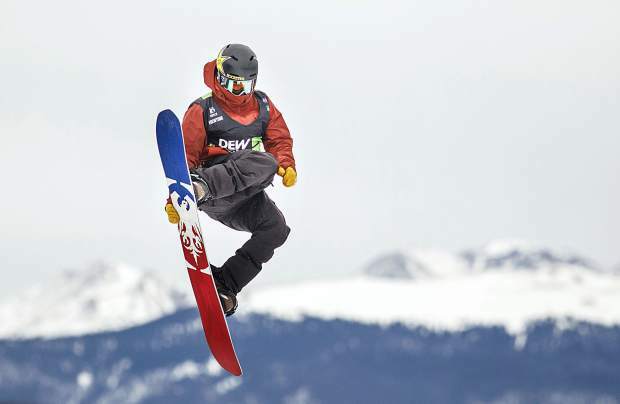 It’s a performance that officially booked the 18-year-old from Silverthorne a ticket to compete in big air and slopestyle snowboarding at the Pyeongchang Winter Olympics in two months. 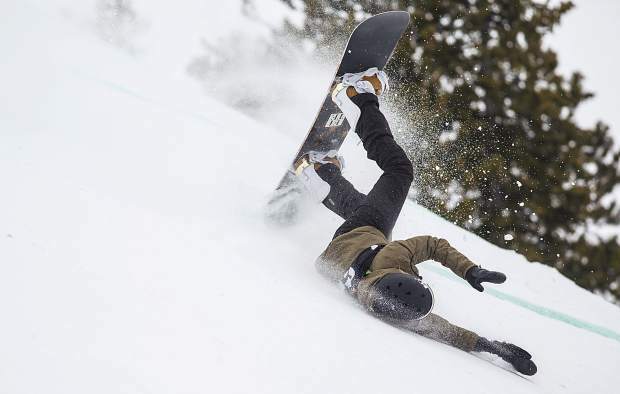 And it also was a performance that wrapped a wild week for Corning, Thomas and the rest of the Summit County snowboarding scene. Just like Corning, Thomas also injured his back on a landing at the U.S. Grand Prix Big Air Olympic qualifier at Copper Mountain Resort last week. But unlike Corning, Thomas wasn’t able to compete at the Dew Tour this week, dropping out due to his lingering back injury. 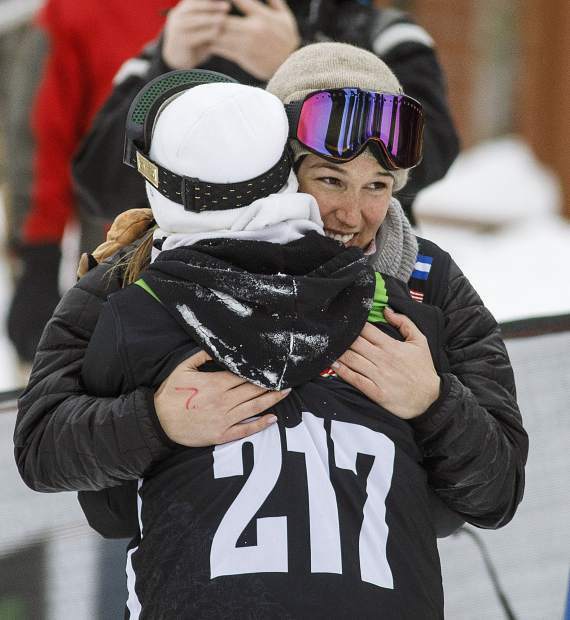 Thomas, who met a 12-year-old Corning at a Woodward at Copper Mountain camp six years ago, was in awe of his friend Saturday, a pal who has consistently provided one awe-inspiring moment after another through the years. 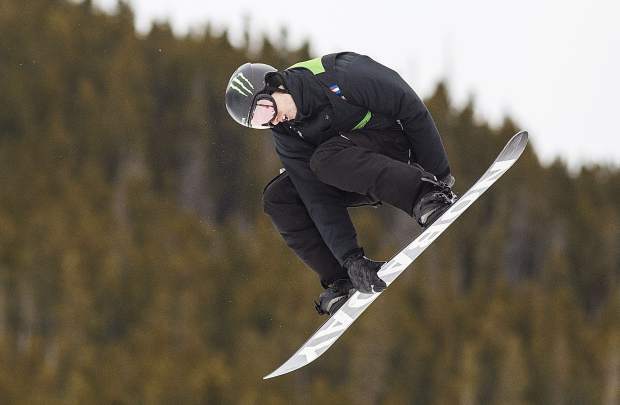 With his second place showings at Copper last week and at the Dew Tour at Breckenridge Ski Resort on Saturday — behind first place finisher Max Parrot of Canada (97.00) — Corning leads a pack of Summit County snowboarders attempting to qualify for Pyeongchang. Thomas’ hopes for the 2018 Olympics do remain, as he secured a podium last season at February’s Toyota U.S. Grand Prix at Mammoth Mountain to boost his standing. 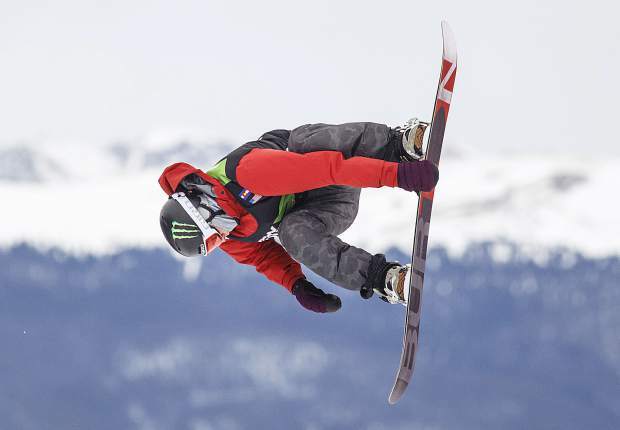 Then there is 17-year-old Red Gerard, Corning’s fellow snowboarder from Silverthorne. 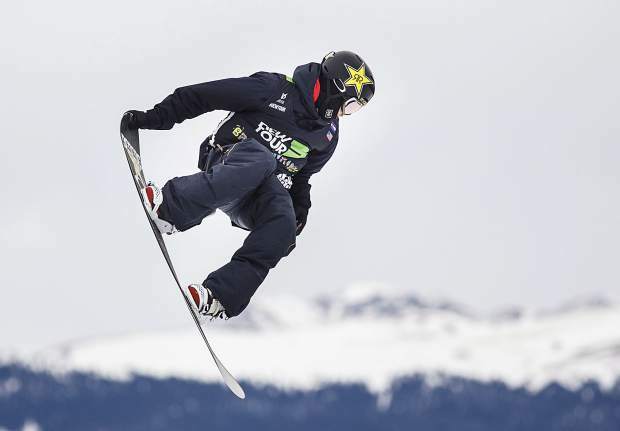 Gerard remains in ideal position to qualify as he won that event at Mammoth last February and finished in fourth place with a score of 91.00 at the Dew Tour on Saturday. 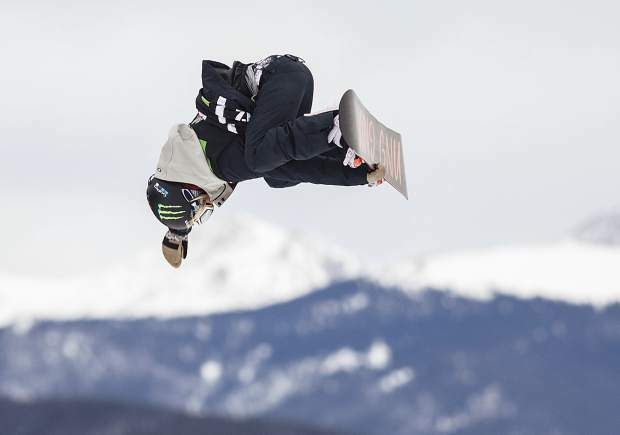 The three-person U.S. slopestyle and big air team will de determined through two more selection events: the Aspen Grand Prix from Jan. 10-13 and the return to the Mammoth Grand Prix from Jan. 17-20, a year after the first qualifier event. So Corning took two days off with no riding and no practice between Dew Tour prelims and finals. This week’s practice only amounted to a couple of hours on the slopes. When not on his board, was Corning even able to walk? 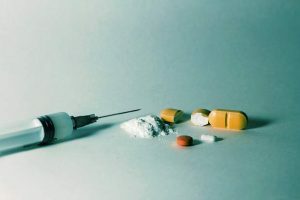 Corning also took some anti-inflammatories during the week, though he didn’t even pop an Advil before Saturday’s event to combat what he described as a “spearing pain” on his hip each time he landed. And in the coming days and weeks, Corning will put his trust in Silverthorne physical therapists at Howard Head, who put Corning’s foot “back to normal” twice before. 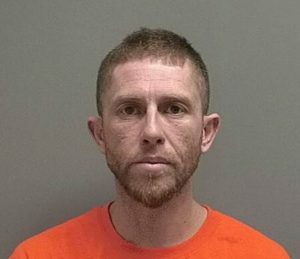 Corning’s father said due to the injury his son’s run was scaled back a little bit from what he was planning. But he gutted it out, landing a soaring back triple 14 on the course’s final jump to sew up that 95.00. Brook attributes his son’s steely nature to the fact that he’s always been an underdog. 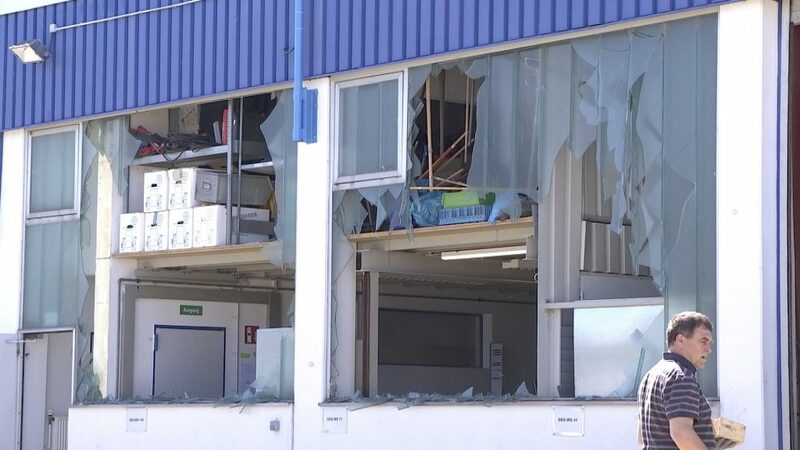 And who did Corning get that from? Just a month ago Corning etched a representation of his fighter’s spirit permanently when he visited the home of a good friend — a Summit County local and tattoo artist known as Jake. The ink is of a Roman solider. Corning spent nine hours in the chair for Jake to complete the tattoo, a pain he said was much easier than what he’s going through with his lower back now. Despite the pain, Corning said he will compete at the final two Olympic qualifiers after some holiday rest. When he does return, and when he gets to Pyeongchang, he will display the snowboard strength and aerial awareness that still impresses Thomas each time they strap in. 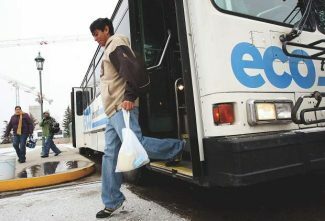 “It doesn’t matter where he is in the air, he always knows exactly where he is and exactly what he needs to do to get himself to his feet every single time,” Thomas said. “I wish I had half of it, because it’s just — he always knows where is. And when he is in the middle of a flip he can get out of a trick and land it. It’s remarkable what the kid can do. 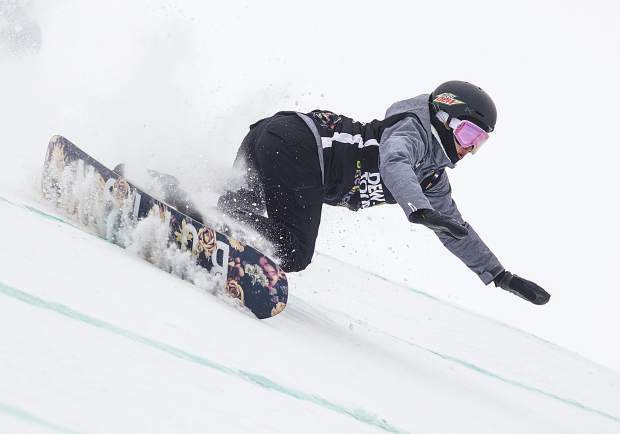 Bright and early Saturday morning, the final eight competitors in the Dew Tour Women’s Snowboard Slopestyle battled flat light and difficulty seeing the definition of the snow before Canadian Spencer O’Brien took the title. O’Brien pieced together a 95.00 on her second run to jump American Jamie Anderson of South Lake Tahoe, who scored a 93.33 on her first run. But all was certainly not lost for Anderson on the day, as the second place finish officially qualified her for the Olympics. 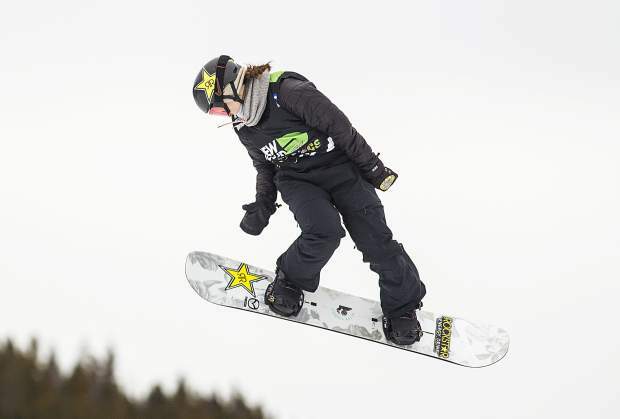 American Hailey Langland took the early lead after she posted a 90 on her first run before the 10-time Dew Tour champion Anderson topped her on the strength of a smooth run that closed with a perfect frontside 720 grabbing mute. The second place finish returns the 2014 Sochi slopestyle gold medalist Anderson to her second consecutive Olympic games, this time at the age of 27.